Mandatory Retirement for Judges | Why Can't We Change It? Everyone understands that people can be productive much later in life than they could just 20 or 30 years ago. 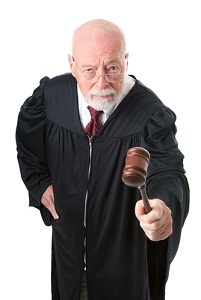 Thirty-three states have laws with a specific retirement age for judges. The youngest and most common mandatory retirement age is 70 years-old. The new reality is a good one: 70 is just not that old anymore. The reality is that there are only so many good judges out there. Judicial vacancy rates are very high in some states. The idea of an experienced jurist sitting at home who is still fully competent to sit on the bench depresses a lot of us who really want judges who can call the balls and strikes and give the parties a fair trial. So states have been working to change these mandatory retirement age laws. How is it going? These efforts keep failing spectacularly. In Louisiana, they tried to fix this problem this November with a ballot, with the Louisiana Mandatory Retirement Amendment by eliminating mandatory retirement at age of 70 for judges in Louisiana. It failed spectacularly, as did a similar measure in Hawaii, to raise retirement age from 70 to 80. New York made a similar effort in 2013 and the measure was trounced in Reagan over Mondale proportions, 58-42. Ohio tried in raise the age to 70 from 76 in 2011 and that also failed. The first problem is that many of these states have embedded the idea of a retirement age for judges in their state constitutions. Now, there is a judicial disability commission in every state, so getting rid of incompetent judges, while tough, is doable. In the days of these state constitutions, you were pretty much stuck with a judge until he — it was always a he – died. So, as a result, the law is harder to change because the state constitution has to be amended. What this requires varies from state-to-state. But typically it requires the bill be passed by both houses, sometimes by super majority, signed by the governor, and put on the ballot. But, as you see, even when these initiatives get on the ballot, they struggle mightily. Why is that? I couldn’t tell you. Certainly, this is a clean issue. There are no lobbyist or muckrakers weighing in because no one really has a horse in this race besides the judges and people who generally want justice. Which means there is no money in it! I did a little research on the question while writing this post. Raising the age certainly would mean more testing of the judges which they would find offensive. But that concern is not filtering down to the lay voter who is making a call on this without any real context or perspective. Why is Jane Q. Public against this? No clue. Isn’t It Illegal to Discriminate Based on Age? It is illegal to discriminate on the basis of age. The Age Discrimination in Employment Act expressly prohibits employers, including the state, from terminating any employee because they are too old (if they are over 40). But there are exemptions and one of them easily lassos judges: individuals who are appointees on the policy making level or any person elected to public office. There is a lot of intellectual debate about this but, ultimately it does cover judges. In Maryland and many other states, there is a way around mandatory retirement. It is a very common practice in Maryland to allow retired judges to return to our trial courts and even Maryland’s highest appellate court to hear cases. These judges are paid by the day. But rarely is money an issue one way or the other for these judges. They want to keep doing it because they enjoy it and it is a part of their identify. But what we have is the worst case scenario. A rule that judges can backdoor which circumvents the will of the legislature or, with these ballot initiatives, the people. Ultimately, it seems like the best solution would be to modify the ADEA to exclude judges. But as I write that, I immediately want to take it back. You cannot backdoor what appears to be the will of the people on an issue as critical as judges. The only thing that can happen to really change this is for people to better understand that 70 no longer makes any sense. Since judges over 70 do not have lobbyists or PR people, this is just something that is going to come with time. In the meantime, we are going to have a lot of qualified judges sitting at home twiddling their thumbs. And that is a sad thing.